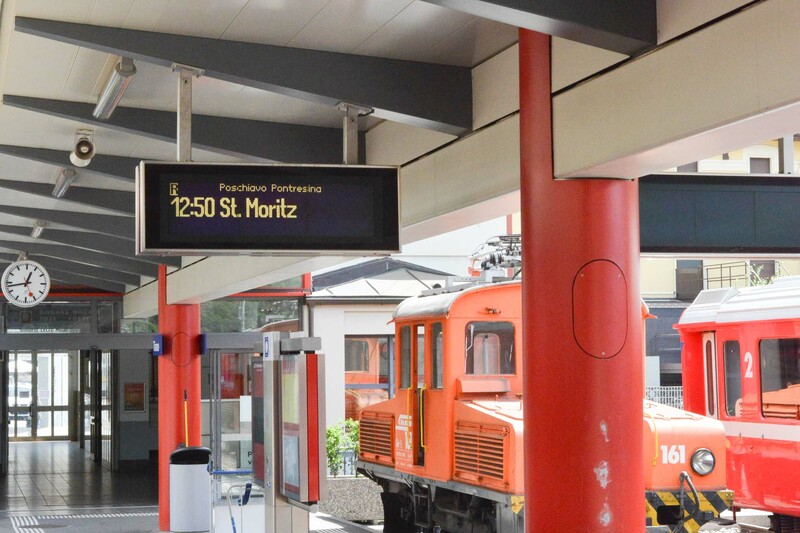 We didn’t hesitate when the opportunity came to take the Bernina Express Train from Milan to St. Moritz. We left our Milan hotel early in the morning to catch the coach bus which would take us out of Italy and into Tirano, the southernmost Swiss town on the foot of the Alps. The 3-hour ride was comfortable and very scenic, and the bus ride ended in Tirano, where we stopped for an early lunch and a bit of exploring before boarding the shiny red train. 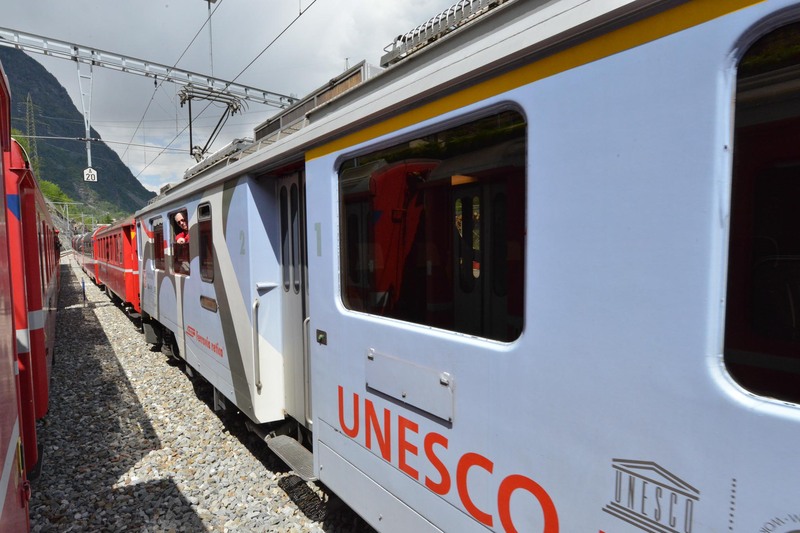 The section between Tirano in Italy and Thusis in Switzerland has been classed as a UNESCO World Heritage site and definitely worth the title. 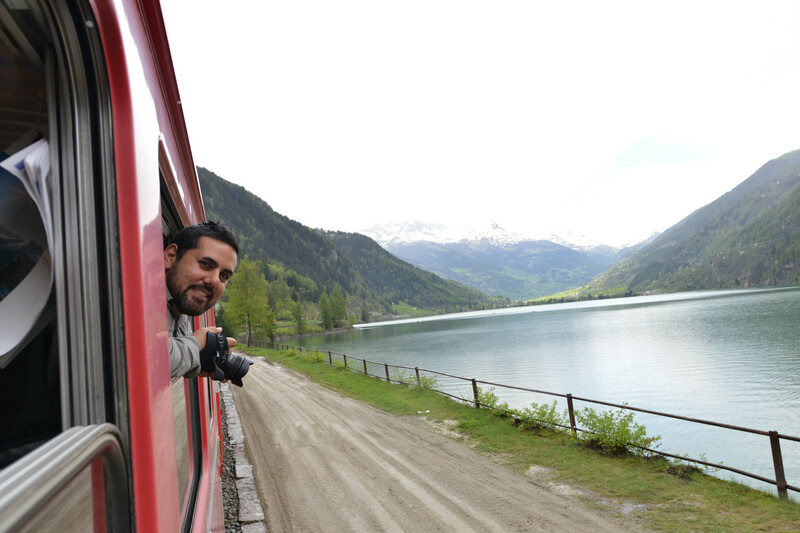 Nature was loud, alive and kicking all around us as the train climbed and spiraled through tunnels. The colors we saw were wild! All shades of green in the landscape, dotted with quaint dreamy looking villages, and as the train climbed more, the scenery (and the temperature) changed as we passed frozen lakes, and snow covered streams.